The official audit into the Agua Special Utility District’s operations was released this week showing it had an operating loss of $1.4 million partly due to large settlement payments made to two former employees. The audit, a Comprehensive Annual Financial Report, examined the fiscal year 2017 ending on December 31, 2017, and was conducted by Burton, McCumber & Longoria LLP, a certified accounting firm. They noted that while Agua SUD’s operating revenues saw an increase of 2.52 percent from the previous year — a total of $9.5 million — due to the increase on new connections for services there was also a 1.76 percent increase in operating expenses, a total of $10.9 million. That resulted in an operating deficit of $1.39 million. Operating revenues and expenses are defined as resulting from providing services with Agua SUD’s principal ongoing operating activities. The increase in expenses was mostly from settlement payouts and an increase in salaries and benefits due to a 3 percent cost of living adjustment for full-time employees. Those settlement payments were made to two former employees, Oscar “Coach” Salinas and Armin Garza, who were employed as outreach coordinator and utility project manager, respectively. Salinas and Garza, however, also serve on the school board for the La Joya school district where four out of the seven Agua board members worked. The reciprocal relationship between the Agua board and the La Joya school board prompted state Sen. Juan “Chuy” Hinojosa to file Senate Bill 814 which restricted those types of hires within Agua SUD in order to curb conflicts of interest. The bill passed the legislator and went into effect September 2017. The audit noted that while the legislation was still pending, then-Executive Director Oscar Cancino executed employment contracts dated May 1, 2017, with Salinas and Garza, both at-will employees. >> They were signed before the outcome of the SB 814 was known. >> The contracts were for a length of five years. >> They allowed for increases in monthly pay which was inconsistent with how other employee salary needs were addressed. >> It was not a practice for Agua SUD to enter into employee contracts, except for the executive director, before May 1, 2017 and Salinas’ and Garza’s positions were never subject to contracts before. >> If the final version of SB 814 required them to be replaced, the skill set necessary to fulfill their job responsibilities was readily available in the labor market. The auditor’s recommended providing more oversight over actions by the executive director such as limiting their ability to enter into contracts on behalf of the utility district. In response, Agua SUD noted Cancino was no longer executive director and that they have moved away from the executive director model and toward a general manager model. District Engineer J.E. “Eddie” Saenz was appointed interim general manager and is currently in negotiations to officially take over the position. Among their other findings were 13 instances where documents could not be found supporting Agua SUD followed the proper procurement process. Procurement is the process by which an entity such as a city or other governing body, solicits bids or price quotes for services. “The lack of documented evidence of the procurement process does not provide the appropriate audit trail for testing and may result in management override of controls in this area,” the report stated. 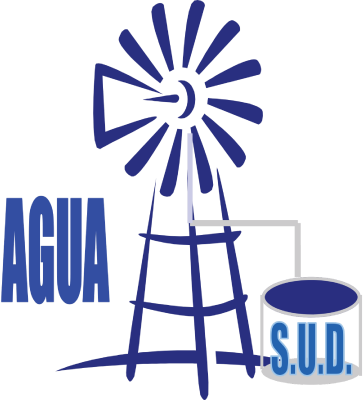 A result of updated quotes or bids can result in the Agua SUD not purchasing goods at the lowest price at the time. There were also two instances where hiring was approved by two different individuals who, neither by policy nor by the board of directors, were formally authorized to do so. In one of those instances, an employee’s file indicated that the interim general manager verbally approved the hiring prior to his own official hiring by the board of directors. According the report the interim managers indicated verbal approval was not made. In the second instance, a board member’s initials were noted on an internal memo prepared by an employee requesting approval to hire another employee. Agua SUD stated they will seek legal advice on amending by-laws regarding employee hires and employment contracts. Messages left to Hernandez requesting for comment were not returned as of press time. Hinojosa also pointed out the audit did not list an interlocal agreement with the city of Penitas for purposes of transferring the rights to provide water services from Agua SUD to the city. A copy of the agreement, which was signed by Hernandez and the Peñitas mayor, was sent to Hinojosa who is now requesting proof that the agreement was approved by the board of directors.